Dental implants offer a long lasting, good looking solution to the loss of one or more teeth and are an attractive alternative to ill-fitting dentures. Acting just like a natural tooth root, the implant is a tough titanium post that is carefully placed in the jaw bone. 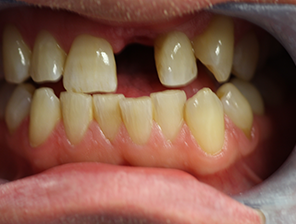 Over a matter of months, this fuses with the bone creating a snug fit and firm foundation for replacement teeth. 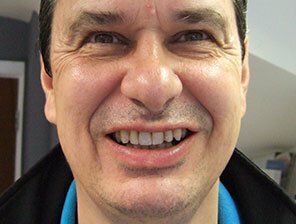 As dental implants are effectively restoring teeth, they combat problems associated with tooth loss which can have a damaging effect on your confidence, your speech and the type of food you eat, as well as making smiling a real problem. 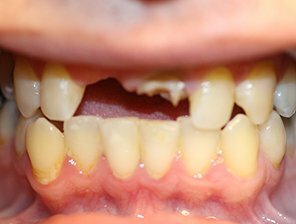 Missing teeth can also cause bone degeneration, leading to a prematurely aged look. Implants provide vital support for remaining teeth that may otherwise start to move and then encourage food to become trapped, causing bad breath, decay or gum disease. 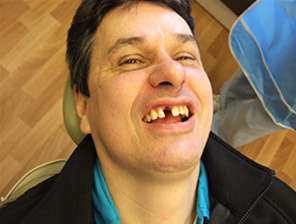 There is no need for clumsy dentures, which means no messy adhesives, gum irritation or embarrassing moments when dentures pop out unexpectedly. You?ll also be able to speak and eat with renewed confidence as slurred speech is eliminated and chewing efficiency improved. Most importantly, implants offer a valuable boost to your self-esteem because you regain the look and feel of natural teeth. If you stay on top of your oral hygiene and have regular check-ups, there?s no reason why your implants shouldn?t last for years. 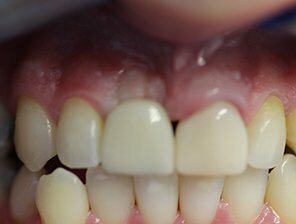 We?ll teach you some top brushing and flossing techniques to keep your restored teeth perfect for longer. We will carry out a thorough assessment of the way your teeth fit together, your oral health and the volume and quality of your jaw bone. If your bone and/or soft tissue are not adequate, we may have to carry out additional grafting procedures to ensure your implants can be successfully anchored into place. When we?re all ready to go, the titanium fixture is inserted into the bone using a minor surgical procedure. You will then have to wait for the metal post to effectively ?take root? by fusing with your jaw bone ? a process known as ?osseointegration?. 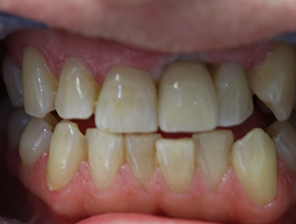 This will normally take 3-9 months, but be patient, because after successful bonding, the crown or bridge can be attached. In a few cases, the entire implant process can be completed in just one day using a speedy procedure known as ?immediate loading?.